Wanna Know why Dilip Kumar calls Chennai his ‘Second Home’? Thespian Dilip Kumar, who turns 93 today (December 11) has officially announced to cancel his birthday celebrations after being mourned by the devastation caused due to flood fury in Chennai. Readers may wonder why Dilip Kumar has called Chennai as his second home because just as Rajinikanth owes his stardom to Amitabh Bachchan as he did several Bollywood remakes of the superstar likewise Dilip Kumar owes his success to the South Indian Cinema as he did many remakes of South cinema. Readers may note AZAAD was a remake of the Tamil-hit MALAI KALLAN starring the legendary South superstar MGR. After AZAAD, it was South movie Moghul S.S. Vasan, who made the extravagant India’s First Most Expensive Film Tamil film CHANDRALEKHA, who gave Dilip Kumar yet again an experimental role of an action star in his film INSANIYAT, a remake of Telugu film PALLETOORI PILLA (Village Girl) staring another South superstar Akkineni Nageshwara Rao. 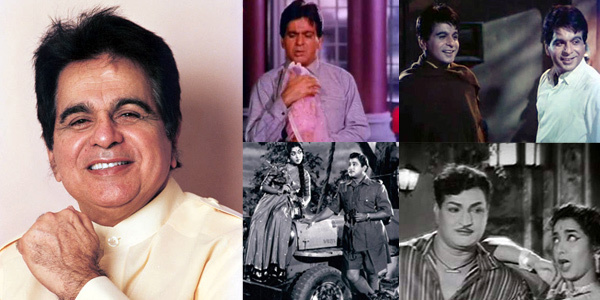 In the 1960s, B Nagi Reddy, doyen of Tamil and Telugu Cinema once again approached Dilip Kumar to play the challenging double role in RAM AUR SHYAM essayed by South legend N.T. Rama Rao in the remake of the Telugu super hit, RAMADU BHEEMUDU. Yet another marvelous performance that Dilip Kumar gave in his illustrious career includes AADMI, produced by P.S. Veerappa produced and directed by A. Bhimsingh. Bollywood celebrates Salman Khan’s freedom while society regrets judgment! Bollywood went bananas no sooner the Bombay High Court acquitted actor Salman Khan of all charges in the 2002 hit-and-run case. The best accolade probably came from the distinguished filmmaker Subhash Ghai who tweeted, ‘God is always kind to good human beings, @Being Salman Khan with god’s blessings is freed today from a hanging sword for thirteen years. Cheers!!! To add cheery on the cake was the tweet of Mr. Anupam Kher, who these days is more inclining towards politics than acting. In his tweet he wrote, ‘So happy that @Being Salman Khan is acquitted of all charges. Truth Prevails. Even if it takes 13 long years! 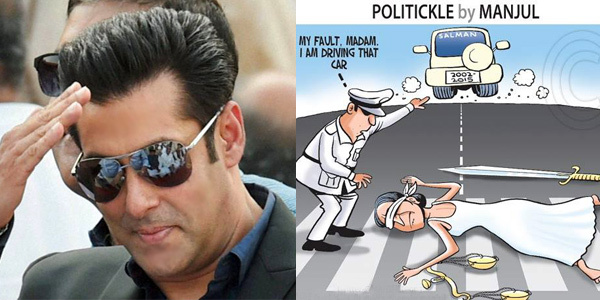 While Bollywood and the so called fans of Salman Khan may rejoice the verdict but the people who are rational and believe in true justice are dejected at the decision as they argue if Salman Khan was not driving the car than who was really behind the wheels that killed the people sleeping on the pavement? A person on twitter mocking the Salman Verdict has written, ‘India saw its first driver less car much before Google thought about it.’! According to legal experts the verdict in Salman Khan is nothing surprising because the Indian judiciary is purely based on the evidence and facts that are produced before the honorable court but alas if the prosecution is not able to bring the facts and evidence outstandingly and defend the case firmly than Judiciary finds loop holes in the law and favours the outlaw. Hence Justice A R Joshi disposed the case citing prosecution weakness in bringing strong evidential material on record to prove case. History is packed with innumerable such cases where the rich and the famous have been acquitted. Powerful politicians, business tycoons, builders film stars easily get away with murders, corruption, killing innocents. The law is stern only for the poor and the weaker section of the society. Hence it is not surprising that like Salman Khan his buddy Sanjay Dutt too has greased the palms of the law and will be releasing much before his punishment trial! Justice A R Joshi may have declined the testimony of late Salman’ s bodyguard Ravindra Patil, the key prosecution witness, not 'wholly reliable' but the law must understand the dead may not speak but the living will have to be accountable to someone in future… how and when that only the ALMIGHTY knows!!! Today Salman Khan may celebrate his release but he must remember just one think the judgment given by the court of law is not the ultimate. Above this court of law there is another court governed by the creator of all human beings and no one can escape the fury of the verdict of the most Supreme Judge –The ALMIGHTY!!! 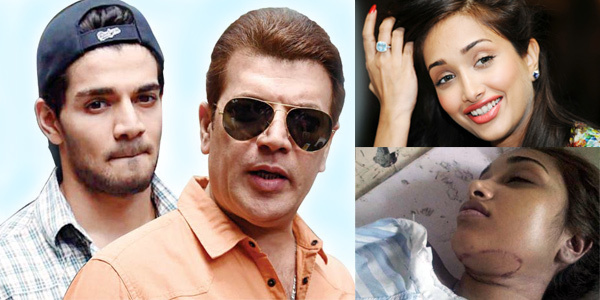 Jiah Khan Suicide case: CBI accuses Sooraj Pancholi of fabricating a ‘Murder’ into suicide! The controversial Jiah Khan Suicide case has taken a new twist with the CBI filing chargesheet against actor Sooraj Pancholi for allegedly abetting suicide of actor Jiah Khan and fabricating vital information during interrogation to cover up a chilling murder into a suicide!!! It may be noted that after the Mumbai Police had tried to bundle off the case as a mere suicide; Jiah Khan’s mother Rabiya had stood firmly against the decision and had moved the Bombay High Court. She alleged that Jiah, her daughter, had been ‘Murdered’ and sought a CBI probe. On her insistence in July 2014, the Bombay High Court had transferred the case to CBI after Jiah Khan’s mother Rabia had challenged the forensic report submitted by Mumbai police that varied from the report submitted by Rabia, which was testified privately. The CBI filled the chargesheet soon after the session’s court sought inquiry in the proceeding of the Jiah Khan Suicide case. The CBI investigation has clearly established that Sooraj Pancholi has hidden several facts and has also fabricated vital relevant information about actual reason behind the incident thus cunningly misguided the police. CBI has recovered many crucial evidence of communication between the Jiah Khan and Sooraj Pancholi during a raid at the Pancholis’ Juhu residence in May this year. Besides communications data the CBI has recovered vital facts like letters written by Jiah to Sooraj and vice versa, as well as emails, text messages, Facebook chats, mobile handset clones from a forensic laboratory, and phone call details. The CBI chargesheet alleges on fateful day of June 3, 2013, Jiah Khan had an ugly brawl with Sooraj at his residence and in a fist if fury Jiah had abandoned him calling him a cheat and fraud. Later when she tried to contact Sooraj several times he ignored her calls and disgraced her with abusive and harsh messages. The CBI chargesheet also points at the three page letter that Jiah Khan wrote before taking the extreme act. According to CBI the letter distinctly documents the physical abuse, mental trauma and physical torture that she underwent by the hands of Sooraj and that compelled her to the harsh step. 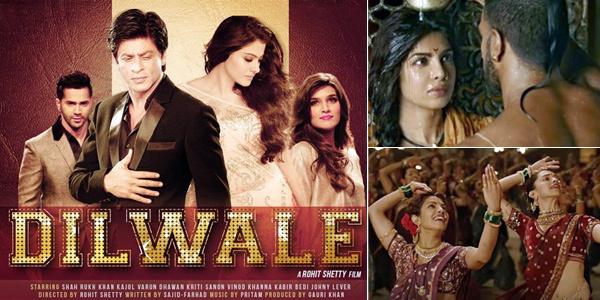 Shiv Sena demands ban on BAJIRAO MASTANI; Can controversies help BAJIRAO MASTANI have an upper hand over SRK’s DILWALE? With the box-office clash between Shah Rukh Khan’s DILWALE and Sanjay Leela Bhansali’s BAJIRAO MASTANI becoming more intense with the date of release approaching; it seems DILWALE, which till now was having an upper hand over BAJIRAO MASTANI has taken a backseat due to its tailor getting a mixed response. In contrast BAJIRAO MASTANI, which was regarded as an underdog has suddenly taken a center stage thanks to the number of controversies surrounding the film thus helping garner maximum publicity to the film. After being in news for angering the descendants of Peshwa Bajirao and Mastani, the film is now making waves in both print and electronic media for hurting the sentiments of Maharashtrian people! The Hindu political party of Maharashtra Shiv Sena has now come forward demanding a ban on Ranveer Singh and Deepika Padukone's BAJIRAO MASTANI alleging the film outrages the Marathi culture by portraying offensive lyrics and seductive scenes. Shiv Sena MLA Pratap Sarnaik from Thane district has submitted a memorandum to Maharashtra Chief Minister Devendra Fadnavis and appealed to ban the film until the filmmaker deletes certain scenes from the film that disgrace the Maratha history. In a statement Mr. Sarnaik Sarnaik said, “The song 'Pinga' picturised on queen Kashibai and Mastani and the 'Vaat Lavli' song in which Bajirao Peshwa (I) dances with 'vulgar' movements holding his pony tail is unethical and will hurt the sentiments of Maharashtrian people! In addition UdaySinh, a descendant of Bajirao family has also raised objections about vulgar display of women. In her protest she argues about an intimate love scene between Ranveer Singh and Priyanka Chopra's, where Ranveer Singh is shown seducing Priyanka by pouring water over her head. “These are private moments. How can you show that? We agree with cinematic liberty, but the dignity of the person should be kept intact, “she blasted. It seems the controversies are turning into a blessing in disguise for BAJIRAO MASTANI as the movie is getting undue ‘Free’ publicity! Besides it is a fact that movies which are plagued with controversies draw huge crowds at box office as film buffs are more inquisitive and curious. Thus it looks BAJIRAO MASTANI is all set to give a run for money for DIWALE! What say readers?? ?